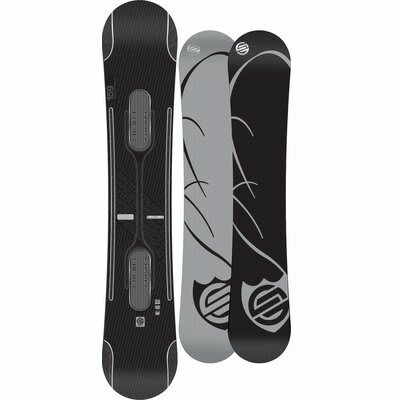 Wakeboarder :: Santa Cruz Platinum Snowboards? Posted: Aug 21, 2010 2:41 am Post subject: Santa Cruz Platinum Snowboards? Any info about this board? Looks like a killer board and a killer deal. The Platinum Duo returns with an updated and tricked out version of the Double Barrel that you know and love to ride for all mountain madness. The Platinum Duo...it doesn't get much more tech! Retail 665?? From what I've read around the SB forums Santa Cruz's quality has really slipped over the years, and hardly anyone rides 'em any more. I did see a K2 Turbo Dream from last year for about that same price, much better deck from the reviews I've read on it. Personally I'd keep looking. If I knew more about what you are looking for I could recommend a few others. What type of riding(all mt, park, jibs, pow)? Size(height and weight)? Riding conditions(icy man made sludge, Natural groomers, powder)? Price range? I'm tracking down a new deck for myself, so let me know and I'll keep my eyes out for deals. hawkster0001, How do you like that darkstar? I found one from 09/10 for 239, from what I can tell it's a little more flexy then my K2 brigade, and more freestyle oriented. its decnt on the amount of flex, you can hold big press(es?) but you can do some quick ones, ill upload a vid on youtube and post it here. its got a ton of pop though, off of one jump me and my friend built and we video tape i had an old k2 and he had a darkstar, and he was going at least 8 inches higher then me. most the pop comes from the carbon fiber forks in the tip/tail, which reduces the swing wheight a ton. the tips are about as thick as the metal edges, and it cuts extremely fast too, it has the most sidecut of any of there boards (from what they say) but i belive them. but yeah il make a quick vid, and throw in some stuff from other vids i have.